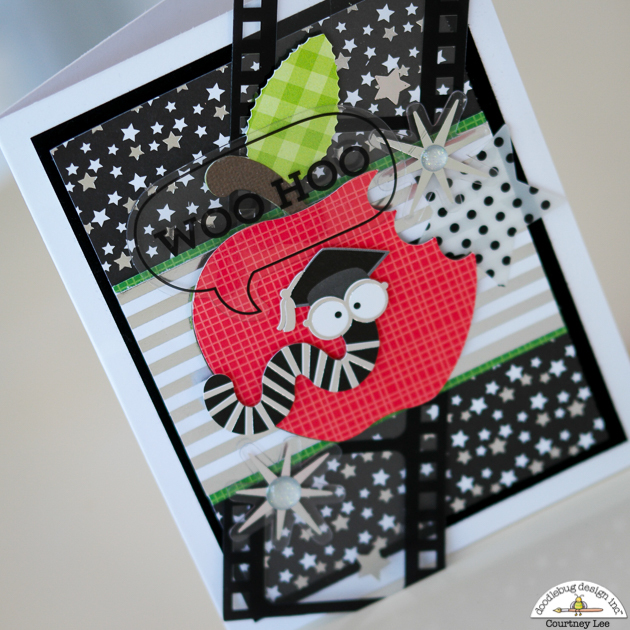 Hellooooo out there doodlebug lovers!!! 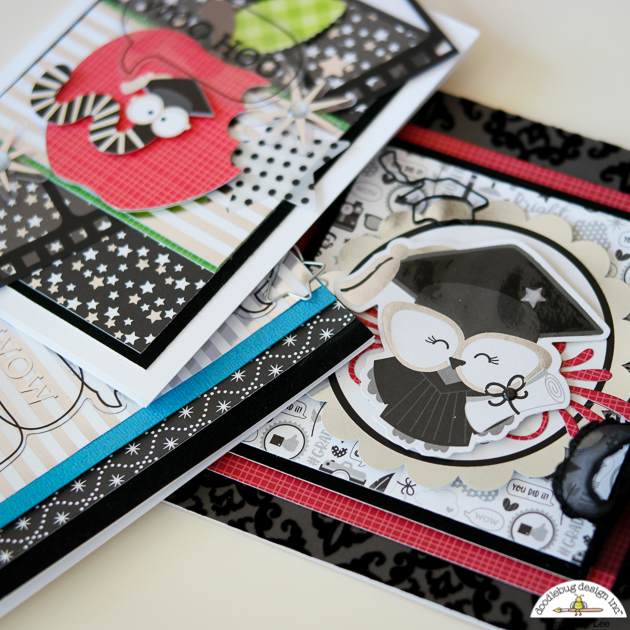 This is Courtney Lee from Court's Crafts kicking off the new Hat's Off collection! 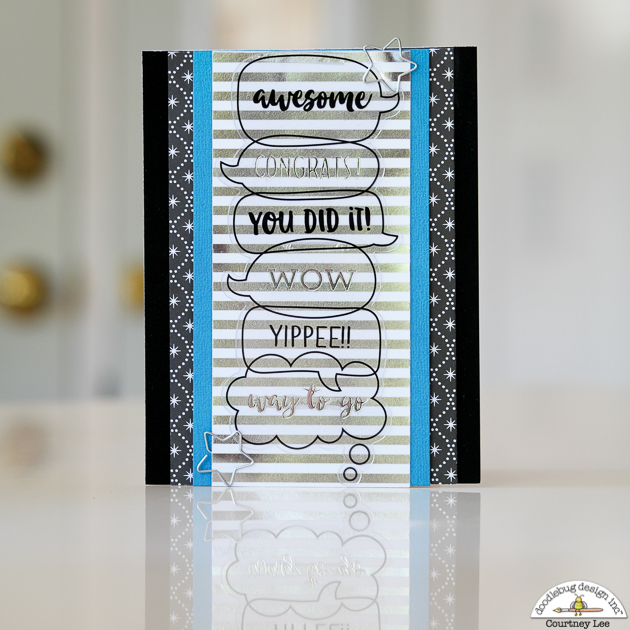 The acetate odds and ends and the silver foil REALLY make this collection shine (literally). The silver is practically mirror and is REALLY gorgeous in person. My mother in law just finished her teaching credential and I am so proud of her for completing it while working! 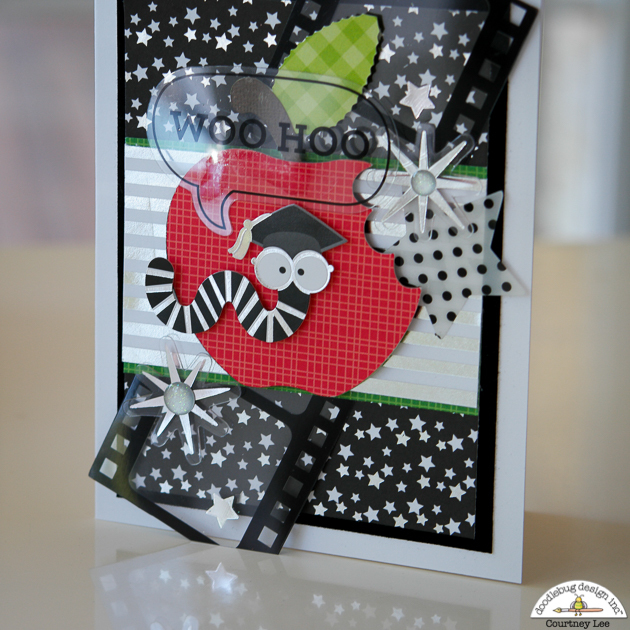 I thought I would make her a really fun card using this sweet lady owl! This new chenille and crushed velvet cardstock are amazing. They are SOOOOO soft. 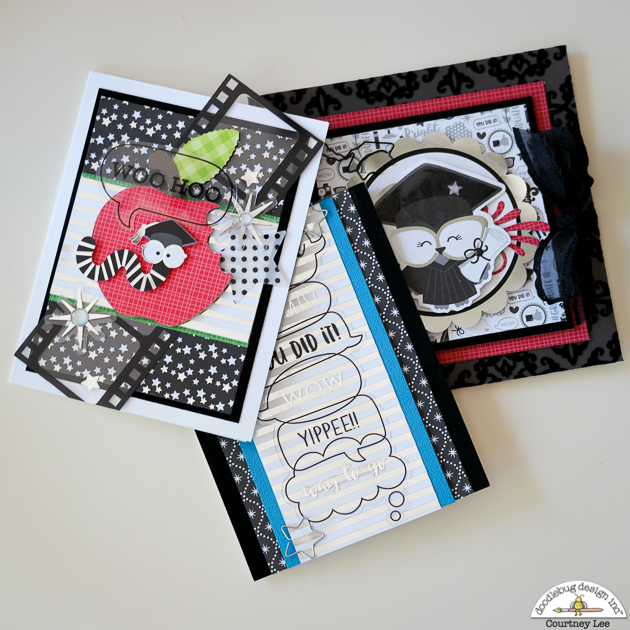 I used the crushed velvet on all of my cards and it cuts BEAUTIFULLY! 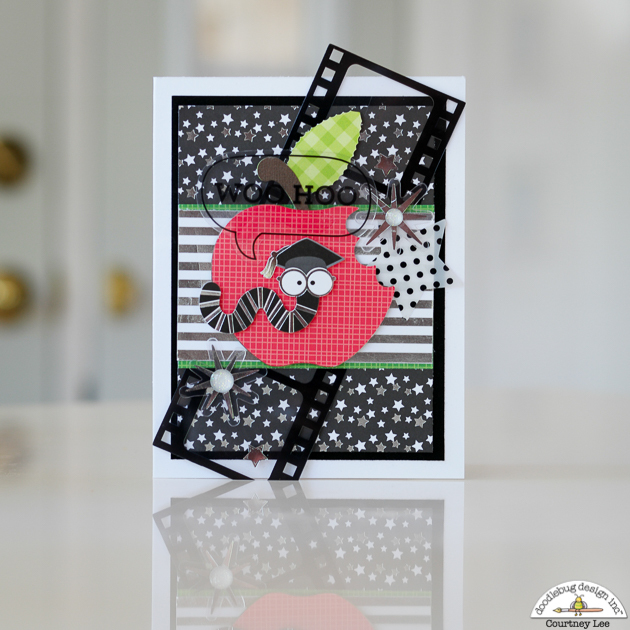 Have you ever had fuzzy cardstock that left like pilly edges? Not this! Look at that edge! Gorgeous. Aren't these cute clips adorable!? I hid them on two of my cards. I also added glossy accents onto the graduation cap and dropped a star into it while it was still wet. I love adding just a touch of something to the odds and ends. I feel like they really come to life! My husband just hit a huge milestone in life and his company color is this blue. 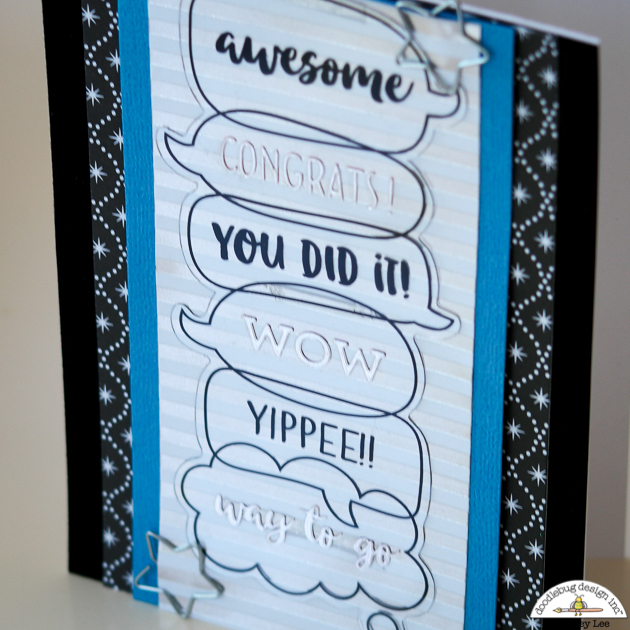 So I decided to make him a masculine congratulations card with this fantastic acetate piece from the odds and ends! Check out that shine!!! On acetate! Once again, I snuck two cute clips in there on top and bottom to frame the sentiment. 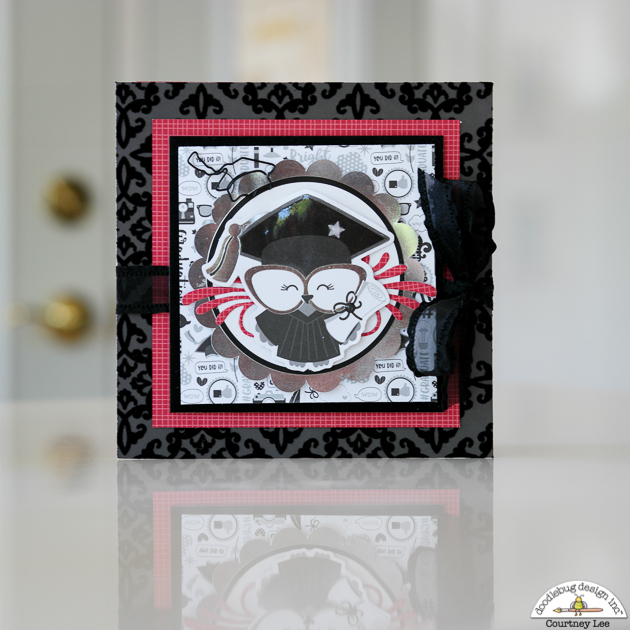 Lastly, have you ever had a card that just came together wildly and you just LOVED it!? This was that card for me. I tried to capture the shine of the silver foil and the acetate but it wasn't super cooperating. Take it from me that these cards really shine in real life! Love these!! I'm going to have to lift them!